When the spouses agree on the major issues in a divorce, it can be a smooth process. However, in many cases, this may not be possible for complex situations involving property division. In fact, property division can be more challenging and fiercely contested than many other aspects of a divorce. At the Law Offices of Carmen G. Soto, our Fort Lauderdale equitable distribution lawyer can thoroughly review your marital and financial situation and advise you accordingly. With 16 years of experience, she has helped many spouses across Broward County. We offer flexible payment plans, and our staff can speak Spanish for your convenience. In Florida, the division of property as part of a divorce is often called “equitable distribution.” In many cases, marital property will be divided 50/50 at the time of the divorce. However, depending on the circumstances, there may be certain cases in which the court divides the property in a different way. It is also important to note that while equitable distribution laws should be kept in mind, the spouses are free to divide their property in any manner that they see fit. For example, they can make a prenuptial or postnuptial agreement that the court will enforce if it meets certain legal requirements. The contribution of each spouse to the marriage, such as homemaking services. The first step in any equitable distribution determination is categorizing property as either marital property or separate property. An equitable distribution attorney can advise Fort Lauderdale residents on how a certain asset is likely to be characterized. Marital property refers to all of the assets and debts acquired over the course of a marriage. These include assets and debts that may have been incurred jointly or in either spouse’s name, gifts from one spouse to the other during the marriage, and retirement accounts. In addition, marital property will encompass the value of a non-marital asset if marital labor or funds led to that increase in value. Separate or non-marital property, by contrast, is not subject to division, so the spouse who owns it gets to keep it at the time of the divorce. This includes assets and debts that the spouses designate as separate in a valid prenuptial agreement, income from separate property, and inheritances or gifts from outside the marriage to one spouse that are kept separate from marital property. In some cases, designating property can become challenging when marital property and non-marital property are mixed. Generally, non-marital property that is “commingled” with marital property becomes marital property. This takes place when non-marital assets are treated by the court as marital assets because they were used for or gifted to the marriage. For example, property purchased with both marital property and separate property will likely be treated as marital property. If you are going through a divorce, we can help you navigate the equitable division of your assets. 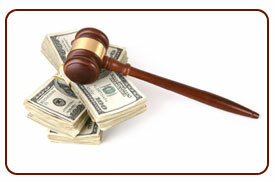 At the Law Offices of Carmen G. Soto, we understand the nuances of this area of law. We also understand that legal bills can be daunting, which is why we offer our clients payment plans that are tailored to their financial circumstances. Our office is located near the Broward County courthouse, so we can save our clients travel costs and parking fees. We represent people in cities such as Fort Lauderdale, Coral Springs, Pompano Beach, Davie, Pembroke Pines, Hollywood, Miramar, Tamarac, Margate, Plantation, Sunrise, Lauderhill, Weston, Hallandale Beach, Lauderdale Lakes, and other areas of Broward County. To set up an appointment with an equitable distribution lawyer in Fort Lauderdale or seek guidance with another disputed issue during a divorce, such as alimony, call us at 954-523-0703 or contact us online.